Cobwebs may be fun as a Halloween decoration, but not when they inhabit the corners of your rooms and dangle from fixtures, collecting dust. This is a guide about getting rid of cobwebs. Got out of control cob webs in your house? Well, I did until I figured out that spider webs form the base of your basic cob web. I used to be very thankful to the daddy long legs spider because they caught and trapped all of the mosquitoes, gnats, etc. But one day I looked up at my semi-cathedral ceiling and it was covered in a false-cover of cob webs. It was huge! I decided to eliminate the poor spiders. Agree or not, I let off one of those bug killer bombs (only one) in my house. That's all it took. No more spider cob webs for the next 3 years! They won't hurt your pets, but you do have to air out your house, so cover all your fish tanks, pots and pans or anything else exposed to the gas. Take your pets somewhere else for 2 hours or so. I have had no bad results, including danger to my two 18 year old cats. I would rather do this than to pay a huge price for the bug man. What can be done about those cobwebs and where do they come from? It's dust in your home. First, you need to not only dust in corners but use some kind of liquid cleaning product. A cheap option I like to use is buying a swiffer stick (not the one and shoots the liquid, the regular one that you attach wet/dry cloths to) for about 12 bucks at Wal Mart. You can buy a pack of swiffer wet cloths (work great and smell good too) for about 10 bucks. Attach a dry cloth (get ones that are statically charged if possible) or just a couple sheets of bounty paper towel (fits nicely into the stick's clamps) and dust in the corners. Next, come in with a wet cloth or a couple sheets of paper towel sprayed with a liquid cleaner like Mr. clean or something and get in the corners. Don't have to scrub too hard. This will also leave you home smelling much cleaner (especially if you smoke) and it'll also go a long way in preventing bug infestations. 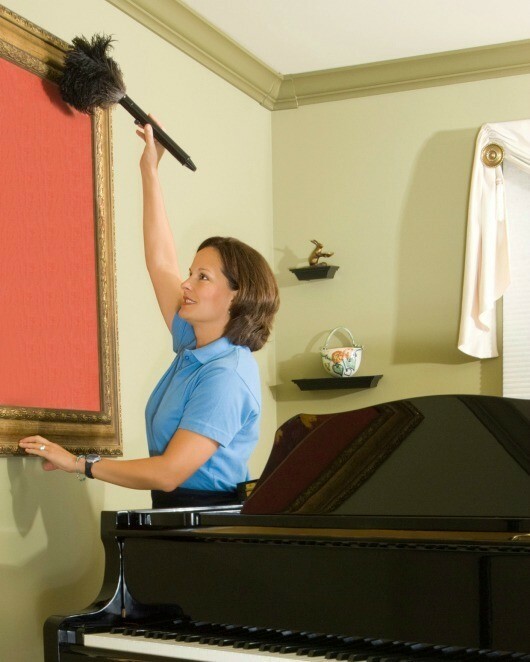 How often you have to do this depends how dusty the air in your home is. To help with the problem, invest in a good air purifier. You'll be much healthier from the cleaner air too. Even if you cheap out and buy a 20 dollar one, the amount of dust that collects in it's filter within a few days should let you know how bad the problem is. How do I keep cobwebs from coming back so soon after I clean them? Eliminate the indoor spider source via professional extermination and also make sure to have well fitting screens on all windows and well sealed door jams. Most of my cobwebs are just above my kitchen window and between the window and screen, so I'm assuming the spiders get in through there. I have indoor cats and a dog, plus have allergies myself, so I avoid chemicals in the house. Does anyone have a more natural way to render areas spider-unfriendly? First catch one of the siders in a clean glass jar by inverting over the spider and capping it with a paper plate until the spider is at the bottom and calm. Then look up Google/ images ONLINE HIS NAME by his description. If harmful, kill him. If not thank god for him.